Vicki J. Deere Bunnell of Security National Bank is affiliated with the Monument Square District. Her artwork features the Gloria. 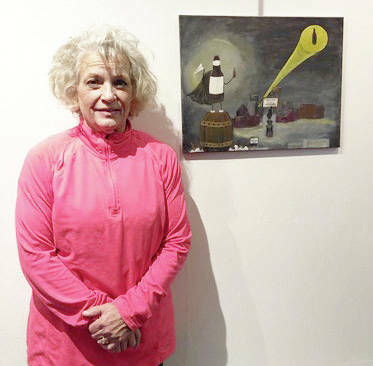 Vicki J. Deere-Bunnell of Security National Bank is today’s featured artist. She is affiliated with the Monument Square District. She enjoys all outside activities and is one of the few people who enjoys push-mowing! Regarding her artwork, she wanted to show a little of downtown Urbana and what it is like at the Gloria on game day around a noon kickoff.